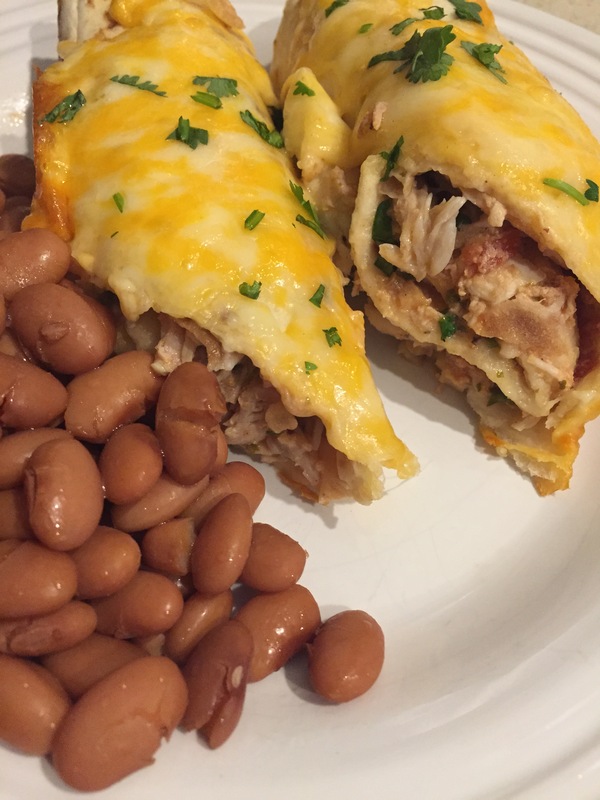 A number of years ago, the title of this recipe would have been Sour Cream Chicken Enchiladas, and that’s the beauty of Greek yogurt, it’s completely interchangeable with sour cream. So, if Greek yogurt is just not your thing, that’s okay you can sub it with sour cream. This is one of those easy breezy meals. Quick, tasty, flavorful, and not very specific: a scoop of this, a bit of this, and a dash of that. Preheat the oven to 350 degrees. Spray a 9×13 pan with nonstick spray; set aside. In a large bowl, add the chicken, and a few large spoonfuls of Greek yogurt, enough that when you mix it into the chicken, it’s moist, but not swimming in it, unless of course, that’s your thing. Add 1/2 or a 1/3 of the jar of salsa, or even the whole jar. Season with a teaspoon or so of cumin, and add in the S&P. Mix in some chopped cilantro. Stir thoroughly. Distribute chicken mix amongst the tortillas. Roll and place seam side down. 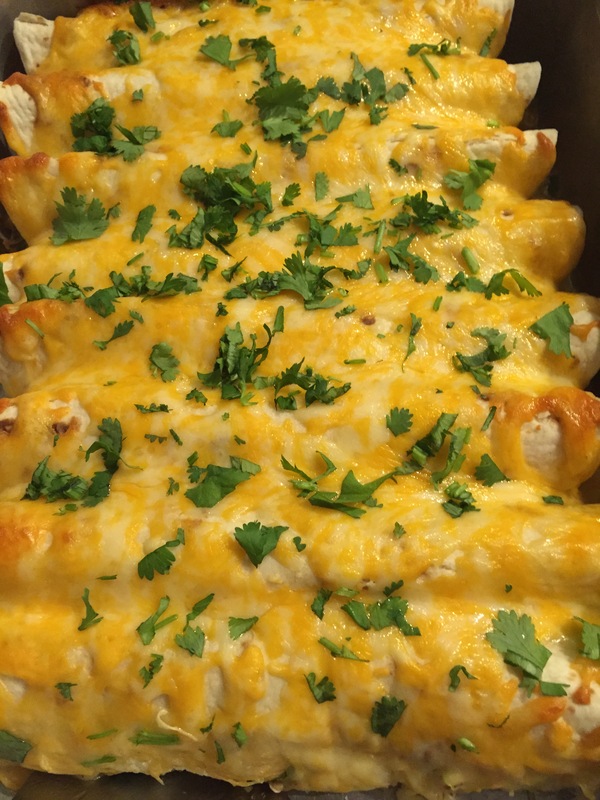 Top with shredded cheese and bake for 20-25 minutes. Remove from oven and sprinkle additional cilantro as a garnish.